The post CAFÉ ERIU – IRISH INFLUENCED COFFEE SHOP appeared first on Bordeaux Expats. Nestled along the rue Fondaudège, only 500 meters from Place de Tourny, is a new specialists coffee shop with an Irish twist. Café Eriu calls upon strong international influences, named after the patron goddess of Ireland, the café / eatery is the project of native Galwegian, Grace Lohan. With Irish, French and South American team members, she aims to bring a touch of her international voyages to Bordeaux. 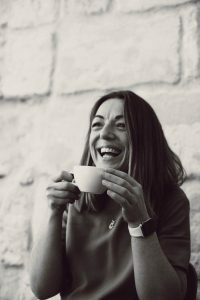 Grace began her French journey almost 3 years ago, after stints living in Dublin, London and Sydney, she travelled through France with her partner before they chose Bordeaux for its human and cultural appeal. “After living in other large cities around the world, I was looking for a city that was smaller than I had previously experienced. However, I didn’t want to give up on the cosmopolitan vibe that I had grown accustomed to… Bordeaux was a great option, somewhere I could easily project laying down roots”. With a blank slate greeting her upon her arrival in Bordeaux, she grappled with plans for future projects and working opportunities. Having come from a finance background, she knew that she didn’t particularly want to head back to a world of stuffy office jobs. Seeing that she was raised in a family that owned gastro-pubs and hotels, opening her own speciality coffee shop made sense. “From an early age, I was always around people and hospitality as my parents had several businesses back in Galway. For me, starting a coffee shop in Bordeaux seemed like second nature”. After searching for a location, that took around a year to find, Grace was pleased with the opportunity that presented itself when choosing to set up shop on rue Fondaudège. “I really wanted to find a location where I could develop my activities within the community. It’s an important part of Café Eriu that we welcome the locals, get to know them and create a ‘have-a-chat’ atmosphere”. With tasteful decor, Café Eriu demonstrates their true colours with a stylish emerald green tiled motif installed behind the barista’s workstation. Visitors are greeted with tremendous natural light that radiates through the establishment’s front window, making a quick coffee break or a spot of lunch an inviting experience. Grace wanted to offer locals the chance to experience authentic Irish products, with a real emphasis on natural and organic produce. She works with independent Irish coffee roasters and butchers, along with local French fruit and veg suppliers. “When looking into our creating our menu, it was evident that we needed to blend typical Irish themes. Pork and seafood dishes were key, as these are things that I find to be synonymous with my Irish heritage”. On the menu you will find favourite staples such as smoked salmon, smoked haddock & pork sausage rolls. Not to mention vegetarian friendly plates, speciality coffee roasts and yummy desserts. With the Bordeaux coffee shop culture exploding, it is truly refreshing to see so many new establishments forming a strong community. All of which have their own identity and personality. Pulling on influences from around the globe, it’s easy to see Café Eriu making its home in Bordeaux and offering locals a taste of the Emerald Isle. Many thanks to Laura Macías for proposing this collaboration and her excellent pictures. The post BORDEAUX – TRAFFIC CIRCULATION appeared first on Bordeaux Expats. If we thought that moving to a moderate size city in the South West of France would make us immune to poor traffic conditions, think again! The Intrix Institue have just released their yearly Global Traffic Scorecard. According to this article on le Bon Bon , Bordeaux is now hoisted to the unflattering 2nd position of hours lost in congestion. The study aims to track the road mobility trends in over 200 cities, across 38 different countries. Whether you are travelling into the city or around it, ‘l’heure de pointe’ is a nightmare anyway you put it. It is nice that Bordeaux has an ever growing international reputation, however isn’t exactly what we’re looking for! On average, each motorist in Bordeaux spent 223 hours a year in traffic jams (in comparison of 237 hours in Paris)! The average time to travel 1.6km was tracked at 9 minutes. While in Paris, it it takes 7 minutes. 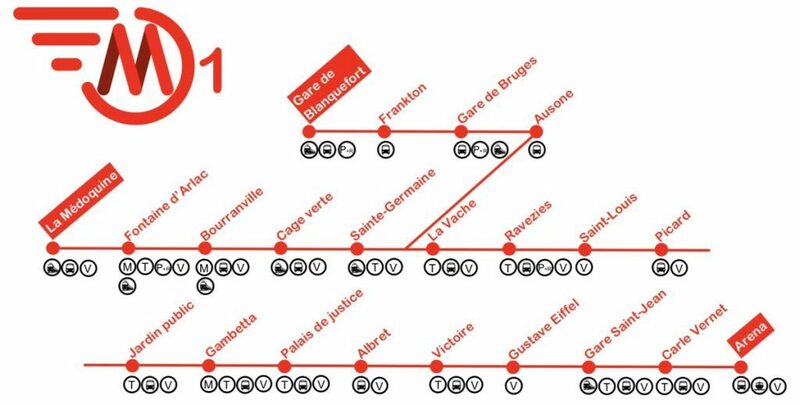 The post BORDEAUX SET TO HAVE A METRO LINE? appeared first on Bordeaux Expats. 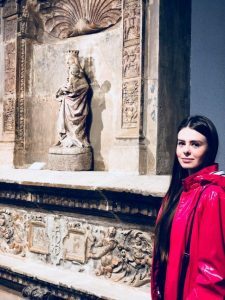 The post EXPAT INTERVIEW – ANASTASIA KARTASHEVA appeared first on Bordeaux Expats. Anastasia was born and raised in a remote Siberian town in Russia, obtained her university degree in English linguistics and literature in Prague, Czech Republic, and is now residing in Bordeaux. Having only moved to France a few months ago, she is thus capable of sharing her way of looking at things as a newcomer delighted by the beauty of the wine capital of the world. It is, however, not local wine that charmed her most – it is Bordeaux’s art galleries and museums. What brought you to Bordeaux? My husband – quite literally. We met in Prague, Czech Republic, where I had been living for a number of years at the time, and was finishing my studies. Call it a modern classic love story: we met through one of the expat groups on Facebook, fell in love, started dating, and decided to get married not long after! It was at that point that my then husband-to-be brought up the subject of moving to France, which is something we eventually did. How do you like Bordeaux so far? Bordeaux is a magnificent city! Climate, scenery, architecture, people – I love every aspect of it! At first it was emotionally hard to get completely uprooted, to start over in a new location where I didn’t know anybody, but it all turned out to be worth it, as it seems, and I don’t regret having made the decision to relocate. I am working part-time teaching languages (English and Russian) at the moment. This way I get to do what I really love doing professionally, and I still have plenty of time to discover the gems of Bordeaux, to meet interesting people, and to dedicate myself to my hobbies. 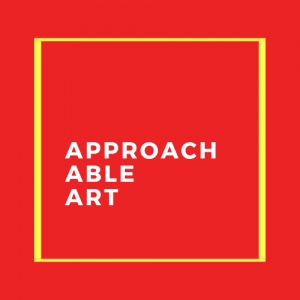 Talking about the latter, as of recently, I have started my own amateur blog on art and artists called Approachable Art, where I publish interviews with creative professionals (painters, sculptors, photographers, musicians, dancers, etc.). How did you first conceive the idea of starting your blog, and why did you choose to write about art? To be honest with you, it happened quite accidentally. Even though I have always had some sort of inclination towards appreciation of beauty, I never received formal training in art as such (well, it’s not completely true – I did graduate from a music school where I learnt how to play the piano). That, however, has never prevented me from being curious about the world of art, so I’ve always loved visiting art exhibitions, going to various concerts, and being a regular theatre goer. 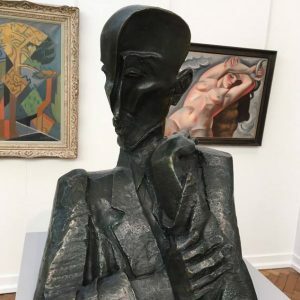 My interest happened to suddenly escalate after my first visit to the Museum of Fine Arts located in Bordeaux, and I started toying with the idea of not only learning about art more, but also spreading my interest among as many enthusiastic art lovers as possible. This is how Approachable Art appeared. Not being a professional art connoisseur myself, I would like to demonstrate that art is something that can be enjoyed by everybody, anybody in fact. Once you embrace your curiosity to APPROACH art, you will see that you are ABLE to do so – just as I did. 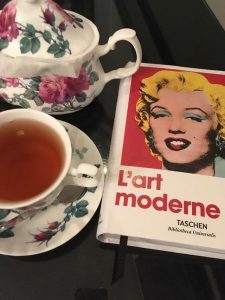 In my blog I don’t employ complicated art terms, present art as something elitist that is there to appreciate for a small group of art experts, or take on the task of educating my audience on art history, philosophy or other academic disciplines. What I do, though, is take my blog’s readers on a journey across artistic disciplines and styles of the works that I personally find interesting and inspiring. Or perhaps perplexing and puzzling. The post HOW TO GET TO THE DUNE DU PILAT FROM BORDEAUX? appeared first on Bordeaux Expats. The post INTERNATIONAL STREET ART COMPETITION appeared first on Bordeaux Expats. To celebrate its 25th anniversary, Vatel Bordeaux, International hotel management, is launching the first ever international street art competition in Bordeaux. This first edition will be on the theme of multiculturalism and registrations are open until April 15th. The competition open to French and International street artists, both amateurs and professionals. There are three prizes are up for grabs, with the big mama (Jury Prize) being a total of €3000 and also the creation of a fresco visible for a year in the heart of Bordeaux Chartrons district. The ‘Online Users’ Choice Award’ and ‘Visitors’ Choice Award’ see the second and third runner ups winning a grant of €800 and the chance to also exhibit their work at the Cap Sciences from May 29 to June 12. Inscriptions can be made online here. The post SUMMER JOBS: 4000 POSITIONS AVAILABLE appeared first on Bordeaux Expats. The 17th Jobs Forum is being held this Thursday, March 28, at the Bordeaux City Hall with 4000 positions on offer. Pôle emploi, the city of Bordeaux and the CRIJ (Regional Youth Information Center) Nouvelle-Aquitaine are joining forces once again to put on this job fair. This year will see over 50 companies participating, with approximately 4000 jobs on offers for locals in the age brackets of 16 to 25 years old. Personal assistance, hotels / restaurants, agriculture and cleaning … are all areas of activity represented at Palais Rohan, this Thursday. Employers will be at the ready to interview candidates in what could be considered speed dating for summer jobs. 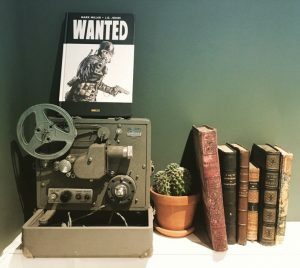 The post JE SUIS BORDELAIS – NIKESH GOUDEN appeared first on Bordeaux Expats. It’s approaching 7 months since my arrival in France and I still cannot pronounce Bordeaux like a local. Nor could I correctly tell you the difference between the verbs savoir and cônnaitre. The number of times I have used the phrase le français est très difficile or pardon, mon français est pas bon: innumerable. Despite this, I am loving life and have become obsessed with this stunning and historic city. I decided to make the move to France after 2 years of French at university which yielded remarkably poor progress. It’s comforting to know that this seems to be the case with all university students studying a language in a non-native environment. It didn’t make sense for me to continue studying the French language in my hometown of Brisbane, Australia. I had also decided to pursue a career in footwear design and there are a ton of great footwear labels coming out of France at the moment: Veja, Zespa, Garconne et Cherubin etc. I had seen Bordeaux claim Lonely Planet’s top destination of 2017 and the more I talked to French people, the more it seemed like a great place to live. I acquired a working holiday visa and off I set. I was initially working at Hostel 20 in Chartrons. It was a terrific way to integrate into the city and form new friends but my language skills were not improving as the majority of guests wee from the UK, America, Canada and Australia. The period after my departure from the hostel was tumultuous. Finding accommodation and work proved to be extremely tough, resulting in burning through a good portion of the funds I had saved to travel at the end of my stay. During this period, I endeavoured to discover Bordeaux’s best boulangeries and all that the city had to offer. It was a decision that would later reap benefits as you will soon find out. Eventually I found work with some English speaking agencies and I had a bit of success buying and selling shoes I had found in Bordeaux’s impressive second-hand clothing scene. Finally, I found a colocation in the apartment of an angelic French lady who now endearingly refers to me as her ‘Australian son’. During my interview for the apartment, we got along exceptionally well, however she offered the room to another candidate due to the brevity of my intended stay. A week later, however, she messaged me saying that she would like to offer me her daughter’s room who now works in Paris. I gleefully accepted and have been residing here for 5 months now. Her mother is a meat connoisseur who drives 50 km out of Bordeaux once a week to pick up her meat from an organic farm which she later prepares for the family’s Sunday dinner. This has translated into me being the lucky recipient of a traditional French meal cooked with the finest cuts of meat every Monday. What is more, I have been offered the keys to her holiday house in Spain. When I go to Paris, I stay in her daughter’s apartment. It is not a bad gig at all. I found a gem in this lady and have learnt so much about the French language and culture from her. Fast forward to mid February and after complaining to my girlfriend about not earning enough, she suggested that I start a boulangerie tour since I am obsessed with pastries and have previously written for food blogs. 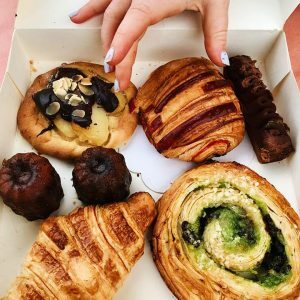 And thus “Bordeaux’s Best Bakeries + History Tour“ was born! I created the tour on Airbnb a little over one month ago and it’s been fantastic. I have received excellent feedback and more importantly, I love it! I take tourists to the best boulangeries in Bordeaux which are conveniently located in different, vibrant neighbourhoods. I offer recommendations, describe the pastries, teach them how to order in French and divulge Bordeaux’s rich history while I am at it. I am legitimately excited to go to my job. I think in a few weeks, my French will be good enough to offer the tour in French. When guests ask me what my favourite thing about Bordeaux is, I reply “ I love the size of the city”. 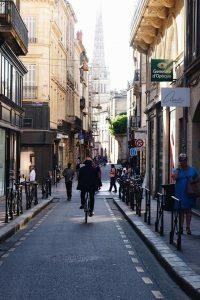 Everywhere in central Bordeaux is accessible by bike within 25 minutes max yet the city isn’t small enough to be boring. I am constantly discovering new bars, eateries and parks. The people are friendly, the rent is reasonable, the city is beautiful and the winters here are mild in comparison with the rest of Europe. Paris is 2 hours away on a train, the largest sand dune in Europe is just over an hour away, medieval wine towns such as Saint-Emilion are a stone’s throw away and you have Biarritz two and a half hours to the South. I haven’t heard one person speak poorly of Bordeaux. There are a few pieces of advice I would give to those trying to tackle the French language. Independent study – While living in France is certainly going to expose you to conversational French and the nuances of the language, I think it’s important to consolidate your learning with independent study. Studying the grammar through textbooks has made a huge difference to my writing and reading ability and it is quite motivating when you know that your study has an immediate, practical use. Eavesdrop – I have stopped listening to music on trams and when in public spaces because eavesdropping is fantastic for picking up conversational phrases. Watch TV / French films – At first this can be very depressing as the speed of French on TV is très difficile to follow, even for experienced French learners. Little by little, you will attune your ears to pick up words and your listening ability will improve dramatically. Read – Reading French texts, whether it be books, magazines or online publications, is excellent for your comprehension skills. Every time I read, I sit with google translate open and and I learn a stack of new vocabulary. I hope that this insight into my life in Bordeaux has inspired you to discover Bordeaux and persist with French or that it was, at the very least, a good read. Mention this article in a message when you book my tour on Airbnb and the first pastry is on me! The post EARTHQUAKE IN GIRONDE – 4.9 MAGNITUDE appeared first on Bordeaux Expats. An earthquake with a magnitude of 4.9 was felt this Wednesday, March 20, at 10:56 on the border between Gironde and Charente-Maritime. The National Seismic Monitoring Network (RéNass) has confirmed that the epicentre has been estimated to be 34 km from Coutras, 32 km from Blaye, 24 km from Barbezieux, 18 km from Jonzac and 5 km from Montendre . The epicentre was 6 km deep and it was felt in Gironde, Charente, Charente-Maritime and Corrèze. According to reports, the tremor lasts approximately three to four seconds, and there have been two chimneys reported to have collapsed in Barbezieux in Charente. The post RYANAIR: 23 NEW DESTINATIONS FROM BORDEAUX appeared first on Bordeaux Expats. Ryanair has launched 23 new departures from Bordeaux. The Irish company, which will also be based in Mérignac, has added 23 new lines to its winter program 2019 – linking 12 countries. Starting in April 2019, these latest connected cities will include Bari, Bologna, Brest, Budapest, Cologne, Copenhagen, Dublin, Krakow, Lille, Lisbon, Malaga, Manchester, Marseille, Nador, Nantes, Naples, Ouarzazate, Oujda, Palermo, Prague, Strasbourg, Tangier and Venice Treviso. This brings the number of provided lines to a total of 32, and aims to bring 1.4 million customers a year to Bordeaux. Check out the complete list of routes from Bordeaux.